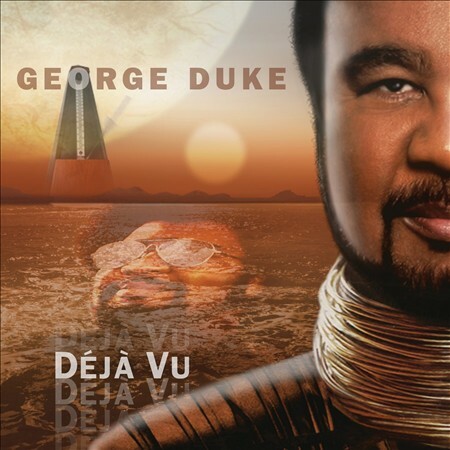 George Duke Talks About His New Project, “Déjà Vu”! A master of his art – a legend in ALL of music. From the keyboards to the songwriting & production dept., Mr. Duke’s name is stapled all across the spectrum of Jazz. Terrill took some time away recently with George to talk about his brand new release from Concord Music, “Déjà Vu”! He candidly speaks about the arrangements, participants, plans for the future & much more! Sit back & chill to this!! 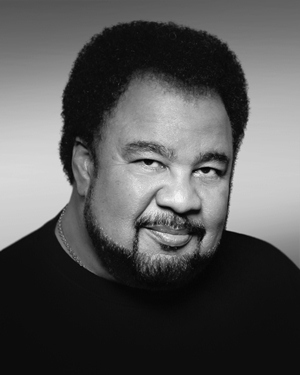 TERRILL: You’re back on theurbanmusicscene.com and I have before me one of the greatest contemporary jazz pianist, producers, I mean an awesome player in the game and yes, right before your eyes, right before your ears shall we say, we have Mr. George Duke in the house!! What’s up Mr. Duke? GEORGE: I’m here. I’m in the house!! TERRILL: That’s right. That’s right you are in the HO– — — USE! How are you doing today, what’s going on? GEORGE: I’m doing great man. I’m just trying to take care of some touring information, talking to band members, making sure people can make the gigs and working on an album actually for a Russian artist right now…finishing UP some mixes. GEORGE: Yes. Absolutely, that is complete. Yes. I finished it just before I went on a tour of Europe and I was running, trying to get through it before I left, but I wouldn’t have made the release date. I’m really happy with it. TERRILL: Well now you took a different sense of direction with this piece, considering the 2008 release of Dukey Treats. In that one, you were a bit funky. You wanted to remind folks that you still maintain the funk. TERRILL: You took a twist and a turned into another direction for Déjà Vu. What’s going on? GEORGE: Well, you know the Dukey Treats record was designed to be basically an old school style record with the technology of today, but I wanted to concentrate on various aspects of funk. I didn’t really carry it to the left side so to speak. I mean, I stayed pretty much on the traditional side. GEORGE: But with this album in terms of the funk things, it’s a little more on the left. It’s a little jazzier, it’s a little more explorative than it was, I think, on Dukey Treats. TERRILL: So when you’re talking more on the left, we’re talking more of the traditional jazz funk side, right? GEORGE: Yes, yes. A little more of the jazz funk side, especially things for example like “Ripple Time”, which is a tribute to Miles Davis where you can do some strange cords and stuff over a funk beat, but it allows a lot of freedom in terms of playing. So there’s a lot of jazz and spontaneity in this album. Probably more so than Dukey Treats. TERRILL: Well yeah I noticed that one of the participating guests, Nicholas Payton came to play. TERRILL: And Nicholas has a little sense of funk in his music, he’s more of a traditional player, but what did Nicholas bring to the table for Déjà Vu? GEORGE: Well, Nicholas and those guys basically only played on one song. GEORGE: But it was an important tune because it’s very much in tradition of what we used to do back in the day where everybody in the band played a solo, it’s almost like a head arrangement you know and by that I mean you know something that guys play as a vehicle for solo really. GEORGE: And so it’s got a little melody in it and everybody gets a chance to play, you know. So Nicholas I think in terms of what he brings is a youthful spontaneity and the guys very interesting plays in terms his choice of notes. You know he’s not a traditional player. I mean he can play the normal scale and all that, but he tends to find those notes outside the scale. GEORGE: And I love that, you know. And that’s what I’m talking about. The funk that’s on this record is a little more on the left side and a little more explorative. Even in terms of sound, cause I use a lot of synthesis, a lot of synthesizers on this record, old instruments. GEORGE: Yeah, there’s a lot of that in this, you know and so I loved that. I’ve always loved the fact that you can take a funk groove, but then you can do what you want with it to your will. TERRILL: Hey, hey, hey. That’s all you got to say, okay. (laughter) But you know with your history of music, you always seem to explore a lot. Which also accounts for the minutes per tracks, you know. You do a lot for it man and don’t think for a second, we pay close attention to those areas of exploration. GEORGE: Yeah, yeah. Well that’s important for me, you know I try to do that live as well. I mean obviously when I do live performances I’m going to do Sleep Baby and Reach For It and the Dukey Stick: Those songs I know certain fans will want to hear. But at the same time I want to give them something that they might not hear on the radio or they might not been exposed to. So I’ll hit them with something that’s going to make them think or make them say ‘oh my God, I never heard nothing like that’. They may even say, ”I never want to hear it again’. GEORGE: But I’m going to expose it to them. TERRILL: Well, I know they’re going to take interest in this track you have with Everett Harp. It looks like you went back there and started messing around with the drums. GEORGE: Yeah man, well that’s actually computer drums. TERRILL: Computer drums, right. Computer drum program. GEORGE: Yeah, but I made it sound like a real drummer. GEORGE: That was the whole idea, and that’s why I put on there that I played the drums. Like a real drummer up in here. TERRILL: That’s right. The title of that track, What Goes Around Comes Around, folks – look out for it on the Déjà Vu track album by the way, feat. George playing the drums. GEORGE: Well that song was actually written for Everett’s album. GEORGE: I produced his last album and this was actually a track that wound up not going on his record. He had too many tunes and so it kind of got stuck in the closet and when I began to work on my album, I said you know what, I kind of like this, I’m going to work on it and develop it for me, but I’m going to leave Everett in there. TERRILL: And Everett knows what to do. TERRILL: He knows exactly what to do. But I tell you, one of my most favorite tracks on this album coming out and I had the time to go ahead and replay and preview the album, which I think again is a stellar project by the way. TERRILL: …is that 6 O’Clock Revisited! TERRILL: Man, that was a masterpiece, you know! I would put it in my Top Ten Contemporary Jazz Classics of all time. GEORGE: Oh my goodness. Well I got a chance to do a little singing and of course in the first one, it was basically an instrumental with some vocals in the chorus. GEORGE: It’s still instrumental, but I do a heck of a lot more singing than I did in the verse, so it was a fun track to do and it gave me a chance to work with my son a little bit, too. TERRILL: Yes, Rasheed. Absolutely. I mean that was a classic, but what brought upon the decision to add this to your album? GEORGE: Well I felt that it needed something like that. I mean there was a lot of stuff that wasn’t even of a commercial nature, and this was the only track on the record that really had computer sounding drums. Everything else was a real drummer. GEORGE: Or either, like on What Goes Around Comes Around was kind of like my playing, computer drums were playing like a real drummer. So this was a real like old school kind of drum set and I just wanted to convey a feeling. I had a different idea for this. Cause I’ve been playing this tune live for a long time. GEORGE: And we’ve never done it like this. And so now we’re going to revisit it live as well. TERRILL: That’s going to be sweet man. Because the nature of the whole album itself, the whole entire vibe of the album, the track just cracks open, like Breaking Out At Dawn. 6’Oclock Revisted, a contemporary jazz feel, adds an icing on the cake. GEORGE: Well you know the interesting thing is the sound of the record is basically analog synthesizers. I mean I used that in combination with the new digital synthesizer, but that old stuff is what gives it that other kind of flavor and it’s something you can’t do with new instruments. At least a lot of people don’t use it that way. But you can only play one note at a time. GEORGE: It’s like you got to go back and play it again and play it again, and play it again, but it gives you another flavor by doing that, but takes more time. TERRILL: I again appreciate the adventure. What you are doing here is stretching out the term jazz to the greatest limit man and I can’t help but to say thank you for all those great albums and the beautiful masterpiece you’ve got going on here. Just the whole team here at T.U.M.S wish that “Deja Vu” will take it all the way to the next level. GEORGE: Well that would be wonderful, but I did what I love and hopefully people will enjoy it. That’s the main thing. TERRILL: Well let me ask you something, and this is aside from the Déjà Vu album, and that is basically where the industry is in jazz, where are we today with jazz, are we progressing? What is your outlook on the jazz industry? GEORGE: That’s interesting. Well you know what, I never thought that in this stage of my career that the record business would have changed as much as it has or even what’s happened to the jazz or music in general. GEORGE: You know things have changed and that’s the one thing you can be sure of is that things are going to change. I just never thought it would change as drastically as it did or in the way it did. But in terms of jazz, I think there’s a lot of exciting artists out there that are playing. I just wish they had more of a vehicle, more of a chance to expose what they do. Which is one reason why, I try to always work with young players. So you got to support the younger musicians that are really doing it and have their eye on the ball and focus on trying to move the music forward. TERRILL: You’re talking about younger musicians and there’s two questions I’m going to draw out of that: the first one being of the younger musicians, is there one in particular that’s moving you, that’s grabbing your attention? GEORGE: When we were young, cause we were kind of brash-brash too and didn’t really care what people thought, we just did what we do. TERRILL: Do what you do, that’s right. GEORGE: And the new guy’s kind of the same way. We’re trying to mold him and let him be who he is, but give him the ropes and give him the tools to get by. Ron is somebody you wouldn’t know because he hasn’t made a record yet. He is actually working on an album now, but you will hear about him soon. He’s an amazing cat. TERRILL: We’re going to research, we’re going to find Ron. TERRILL: That’s real funky. That’s deep. GEORGE: He’s all of that, you know. TERRILL: The second question I have for you is again, you said something about a vehicle, and that is the vehicle of getting your music heard, getting it promoted, and you know all of us obviously know – it’s no longer a major news headliner that the majority of smooth jazz or contemporary jazz radio stations throughout the United States have pretty much fell off the map. TERRILL: So what other ways can an artist in your opinion get their voices heard? GEORGE: Well there’s two that I know of right now, and that’s obviously the internet is the equalizer and that’s a great way to get directly to your audience. GEORGE: But you got to let them know it’s there. GEORGE: For me, I think an artist nowadays that can’t play live or haven’t developed an audience or begin to develop an audience and a following, they’re going to be in trouble. CD’s and pretty downloading have all become kind of like the icing on the cake now where they used to be the old cake, now there’s the icing. GEORGE: This is a promotion. GEORGE: Of what you do live, so you got to be able to produce that way I think. But the internet is a great way to get your music out there, but for me it’s playing live. I tell you almost more than anything else. TERRILL: And talking about live and yes, numerous times I’ve seen you live. You’re right, I totally agree. Playing live and having the audience there before you, tasting the flavors that you have to offer…it’s another good way to push your music out to them right after the show is over. GEORGE: That’s right. And that’s the best way to move your music I think. So you got to take it to the table, because otherwise they won’t know it’s there. And that’s the hardest part. I mean if you’re lucky enough to be able to hire a publicist or a promotion guy, you know and obviously I have my own label which is BPM, which is distributed by Heads Up, which I have a great situation cause I can make the music I want and then have them take care of it. GEORGE: But when I started out you know ten years ago with this company, I was the promotion guy, a publicist and somebody to run the company and that’s what we, it was like four or five of us. GEORGE: Kind of an interesting thing. GEORGE: But it actually worked, but it cost me a lot of money. TERRILL: But you had to do what you had to do to get your sound heard. GEORGE: Yes. So it’s very tough. I think you got to start developing a local audience first, where ever they are. If you can get a band, get something happening, start developing a following and that buzz will take care of yourself if you’re doing the right thing. GEORGE: Most important is to be doing your thing. I mean, I think for most artists that are just starting out, they got to know what they’re doing in terms of where they’re going. Develop your art to the point where you’re deeper than an ocean. GEORGE: You’re always going to be scared and say well am I good enough or how do I, cause that’s always the case… you’re always going to be judged. You know, so I mean look, I can always go into a place and say hey my name carries a certain amount of weight because of all the work I’ve done in the past, but I still got to produce. If I’m putting on a sad concert, they’re going to be cutting by me like I was yesterdays news. TERRILL: So right about that, you got to stay consistent. GEORGE: You know? So yes, there’s a certain. You got to develop consistency and build your musical house on a rock. GEORGE: So find out what makes the music work, that’s all I got to say. TERRILL: …what was, tell us again what that statement was. GEORGE: Well you know to me there was a lot of music back in 2000/2001 that had become very kind of non-aggressive. GEORGE: The music was very soft and very sweet, which is nice. I love that, you know I love that kind of music. GEORGE: But at the same time I think there has to be some angstrom music, something else going on and I would encourage people to face it. You know face the music, turn around, come on now. And it’s trying to get in. Just turn around and take a look at it. TERRILL: Right. And I concur by saying that, I mean I look at the track time and improvisation, the way the compositions was designed, it was just outstanding. It’s just another sign of a genius. Of music as yourself Mr. Duke. And so again it’s another job well done. Any big tour dates coming up? Are you going to be in concert to promote this Déjà Vu any time soon? GEORGE: Well yes. I’m actually kind of doing dates in and around some things with Al Jarreau, we’re doing some trio dates with Al Jarreau and George Latrell. GEORGE: So in and around those dates, I’ll be doing some dates of my own with my band and we will be doing some tracks for sure. TERRILL: Right on. I look forward to seeing you. When are you going to be in LA? GEORGE: Well I’m going with Al Jarreau in August at the Long Beach Jazz Festival. GEORGE: So I’m doing that. It’s just a trio date, but I’m doing that and I’m also doing some phonic jazz orchestra date at Roy Hall. In September, but that’s a whole different thing, but people like some orchestra in their jazz, they might dig that. TERRILL: I want to just stop by saying thank you so much for the time you spent with us here. TERRILL: You are a tremendous asset, not only to the jazz community, but I mean indirectly to the entire music industry because your resume is so huge, I mean I don’t think there’s enough sheets of paper to sustain those credits and you’re such a great blessing. Again, we’re really humble to have you with us today. GEORGE: Well I appreciate it and I appreciate you taking the time to listen. TERRILL: Hey man, I’ll be here again if you need me. TERRILL: Is there anything you would like to share with our readers out there – thousands strong? GEORGE: Well you know just stay strong and keep it real. TERRILL: Thank you sir. I look forward to seeing you soon. GEORGE: Alright. Take care man. You can visit Mr. Duke & purchase the release of “Deja Vu” directly from his website by clicking here! The review was completed & covered by our very own Randy Holmes! Check it out by clicking here!